This month’s story about how a new initiative grant from The Circle Way supported the Indiana Voices of Women’s vision evoked consideration of systemic factors influencing their work and grant application. Below, author Barbara Kerkhoff shares questions to ask at an organizational level when considering diversity, equity and inclusion. What population groups are not present in our organization (consider race and ethnicity, socio-economic, generational, gender/sexuality orientation, physical ability, religious belief, educational, etc.). Are there historical events relevant to this absence that needs naming and healing in the telling of the story of our organization? What does our organization currently offer that has relevance in the life of this population? Are we open to changing how we do our work (our processes, expectations, assumptions) and to be influenced by the views, perspectives, insights, values of this population? What can our organization do to pro-actively invite the voices of this population? (i.e. access authors and music created by this group; invite into leadership roles; partner with organizations with aligned missions). Barbara Kerkhoff is co-founder of Indiana Voices of Women and co-facilitates the IVoW Experience. She has both practiced The Circle Way in various settings for eighteen (18) years, and participated in The Circle Way Training on Whidbey Island with Christina Baldwin and Ann Linnea and Advanced Circle Practice sessions in Chicago and on Whidbey Island. Barbara has a Bachelor of Social Work from Virginia State University and a Master of Divinity from Loyola Chicago. 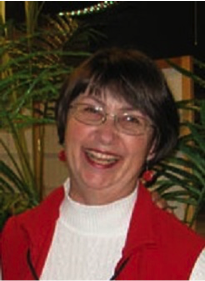 Barbara currently teaches at Ivy Tech College and lives in West Lafayette, Indiana with her husband, Bob.